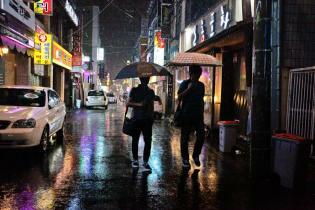 A couple enjoys a slow walk in the rain in downtown Jeju City just hours before Typhoon Sanba hits. 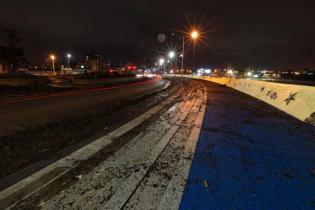 Long exposure of a street covered in debris just hours after Typhoon Sanba struck. 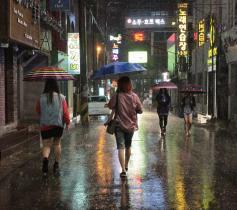 Heavy rains begin to hit Jeju City.as Typhoon Sanba arrives. 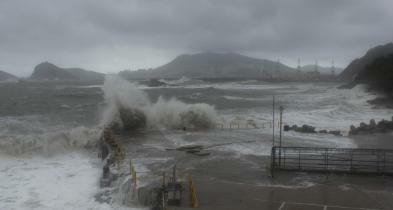 Fears of flooding set in as water levels rise in downtown Jeju City during Typhoon Sanba. 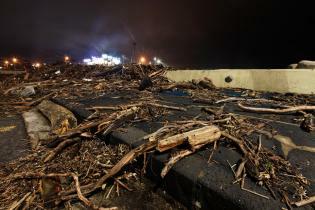 Debris covers a sidewalk on the northern coastline of Jeju City. 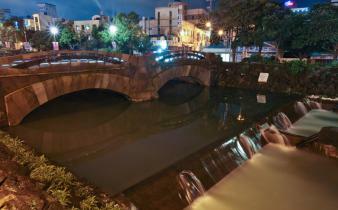 Midnight revellers just hours before Typhoon Sanba hit Jeju City. 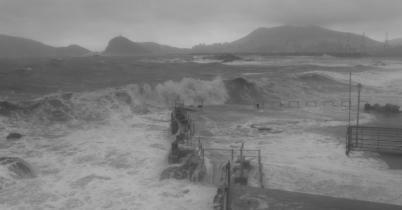 The storm had pretty much passed by 3pm, but the sea hadn't settled down. 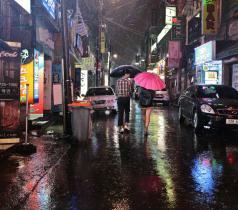 Taken near Oryukdo in Busan. 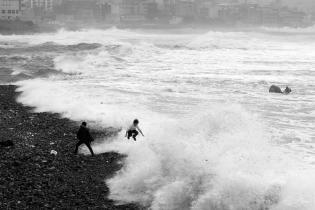 Two school boys, taking advantage from the off day given by their school to play with the elements during SANBA Typhoon. 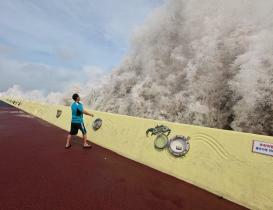 A man watches as waves crash into the promenade and soar several meters into the air in Tapdong, Jeju City.